It isn’t unusual for Von Langen LLC to encounter heir hunting firms while conducting research on a deceased person’s lineage. In some cases, these heir hunting firms have entered contracts to represent the heirs in a claim long before they have completed a thorough search of the deceased person’s heirs. In some cases, the heir hunters wind up regretting these hastily-entered contracts when they learn more about the deceased person’s estate. Learn more about the case where our firm uncovers additional heirs, and contact our experienced forensic genealogists for help with your estate administration. Certain heir hunting firms have developed a bad reputation among estate administrators and probate attorneys. Heir hunting firms will often search public notices for news of individuals who have died without a will and then search for heirs. Before notifying them of the identity of the deceased person, unscrupulous heir hunting firms will force any heirs they find to sign contracts that include a fee of 30% to 50% of the inheritance for the heir hunters. These firms may try to rush the settlement of the estate before more heirs can be located, to secure a sizeable fee for themselves without a risk that numerous additional heirs will dilute their take. This approach can disinherit numerous rightful heirs and expose estate administrators and executors to liability. 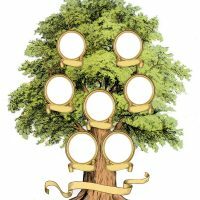 In contrast, experienced forensic genealogists will follow exacting research and investigation standards to construct a detailed family tree and locate as many heirs as possible. This process occurs over a slightly longer time period than heir hunters take to contact heirs and produces results with far greater reliability. The estate of John G. O’Hara is one case where heir hunters rushed to sign potential heirs to contracts and agreed to represent them in a claim before the probate court but abandoned these clients when more information about the claim came to light. Mr. O’Hara died without children or a spouse, and his death certificate described him as having never been married. These facts may have encouraged heir hunters to become involved in the case, assuming that few heirs existed to dilute the share owed to the heirs they did find. Three of Mr. O’Hara’s heirs entered contracts with an heir hunting firm. For skilled, detail-oriented, and trustworthy forensic genealogy and heir location services, contact the Florida offices of Von Langen LLC at 561-748-2936 or 800-525-7722.